Some call Texas, a state of the Union and others call it a state of mind. People who live in the Lone Star State are deeply proud of Texas, and do not hesitate to show it. 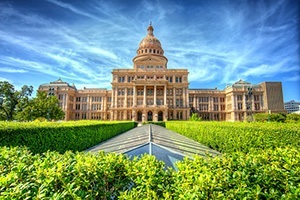 While the state of Texas has traditional industries such as livestock and petroleum, this is also a state that has many high-tech financial services companies. A person may live in Houston or El Paso; either is a Texan who expects the very best in employee benefits. If they need legal assistance they want to be able to get, and that makes a group legal plan very important. It can take up to three days to cross from the eastern border to the western border of Texas. That is not a problem as far as our group legal plan benefits are concerned. Countrywide Pre-Paid Legal Services has a network of attorneys that spans the distance. It also does not matter where a plan member lives as far as the level of services concerned. Countrywide expects every one of its attorneys to have the same small town courtesy wherever they are. We know that there are some legal issues that are highly sensitive and personal. Matter such as getting assistance from government agencies, helping with immigration papers, drafting wills and medical powers of attorney have an impact on Texas families. These are benefits that are options within a Countrywide group legal plan. What is common in all of our plans is the kind of service people need. This includes unlimited number of telephone calls to attorney a given situation. Face-to-face consultations are available, and a Countrywide lawyer will make telephone calls and write letters on behalf of the plan member. These are what help make the Countrywide group legal plan such a comprehensive benefit. It has assistance and more for any plan member. Private insurance exchanges in Texas will quickly discover that the legal options we have, including ID theft protection, are the kind of benefits that clients will want to offer their employees. We are able to provide service to any size of organization. The company can be as big as the state itself, or as small as the start up shop across the street. We design our benefits to fit the needs of the given organization. Our administration is also intended to provide quick and efficient service. No employee is forced to wait unreasonably long periods of time in order to get service. At the same time, Texas employer can be assured that those same employees will never be treated as just another case file. Our attorneys take their work very seriously and tend to the needs of plan members. Countrywide legal professionals will treat a plan member as if that individual is the only client the office has. We have been in the business of group legal plans since 1987 and the Countrywide Personal Legal Protector Plan is one of the best offered in the industry. A Texas employer will know that if the best is what is needed, Countrywide is the place to find it. We offer a combination of excellent options, highly seasoned legal professionals, and incredible customer service. It is what makes Countrywide stand out from all the rest. Although business related matters are not are not eligible for service under our group legal plan, our network of experienced attorneys can assist with an endless number of other matters. We would welcome the opportunity to fully explain to any interested party in Texas all we can do to make legal assistance available. To find out more, call us toll-free at 1-800-550-5297 or fill out our contact form for a speedy response. Countrywide Pre-Paid Legal Services, Inc. serves clients throughout the nation including, but not limited to, the following localities: Atlanta, Baltimore, Boston, Chicago, Dallas–Fort Worth, Denver, Detroit, Houston, Los Angeles, Miami, New York City, Philadelphia, Phoenix, San Bernardino-Riverside, San Diego, San Francisco, Seattle, St. Louis, Tampa–St. Petersburg, and Washington, D.C.